Have iced or frozen dessert waiting for your kids this scorching hot summer. Perfect dessert or miryenda for the whole family. 1. Combine milk, sugar, and DEL MONTE Mango Juice. Chill. 2. Simmer sago in fruit cocktail syrup with 1 tablespoon sugar for 2 minutes. Drain and chill. 3. Fill each glass with ¾ cup crushed ice. Pour with milk mixture. 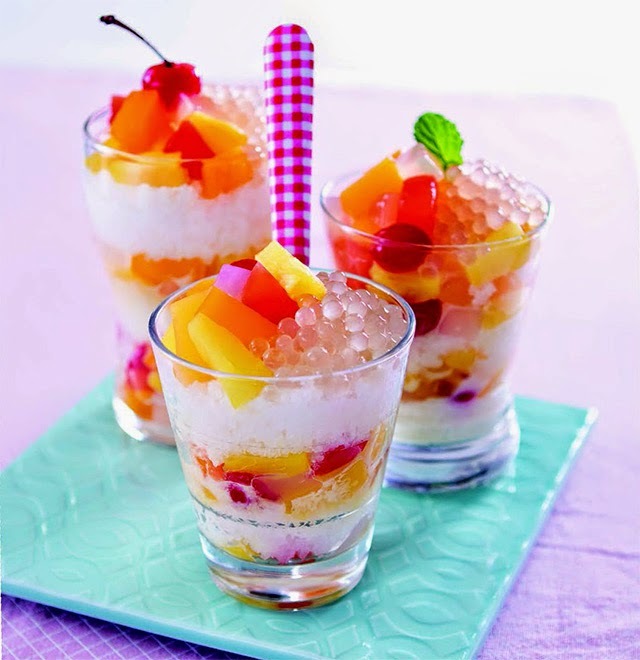 Top with 1 tablespoon sago and DEL MONTE Fiesta Fruit Cocktail.